NEWBURYPORT — The following is a statement from the City of Newburyport Mayor Donna D. Holaday regarding the death of former Mayor Alan Lavender. “I am extremely saddened to hear of the sudden passing of Al Lavender. 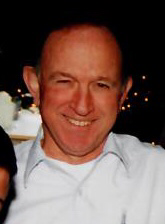 Al was an active member in the Newburyport community and in city government. He served as mayor from 2002 to 2003 and was a city councilor at large for the eight years prior to serving as Mayor. Al loved working for the City of Newburyport and he was loved by our community. He collaborated with staff members from all departments and recruited skilled key staff, several of whom I am fortunate to still have working for the city. Al shared his vision for Newburyport, and employees enjoyed working with him on a daily basis. Al was known by everyone as a kind, even-keeled man whose number one priority was family. He and his wife Betty were inseparable and could frequently be seen at numerous events around the city. Al joined the City’s School Building Committee to help move forward the vote on two school projects and the senior community center. Al really wanted a senior center for our community and I am pleased that wish was fulfilled. Since the beginning of my career as an elected official, Al was key to encouraging me to run for city council. I would not be mayor today if it was not for his candid support over the years.